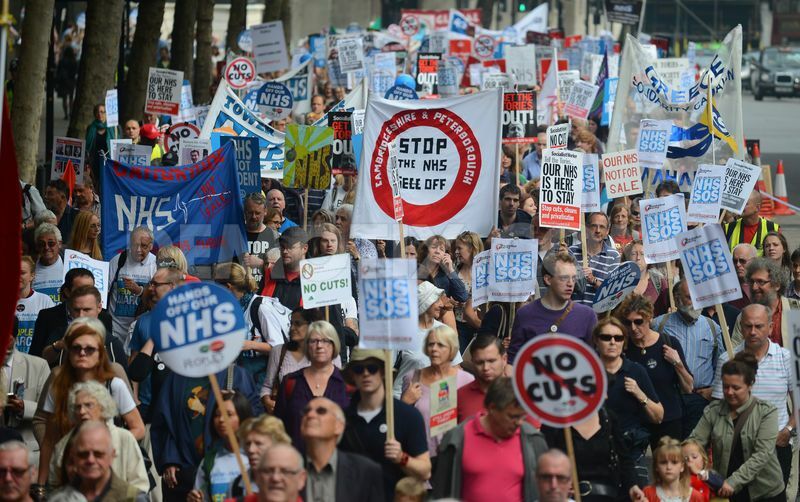 The Future of the NHS – What can we do? Thank you to everyone who responded to my challenge to write a blog about how they would safeguard the future of the NHS. You can see all the posts on the Big Up the NHS web site. Please visit – there is some brilliant stuff there. The primary purpose of the NHS is to deliver high quality healthcare in a reasonable time-frame to every UK citizen. The fact that it is free at the point of need regardless of financial means and that it does not require subscription, substantial cash top ups or insurance claims is a huge bonus which is sometimes not fully appreciated by the British public. It removes most of the financial worries which are an inevitable accompaniment to serious illness in every other country in the world. I hope that I have convinced you in part 1 and part 2 of this blog that there is a real threat to these underpinning principles and that inactivity is not an option. What needs to be done to protect the NHS? I do not believe that fiddling at the edges of the problem will do the trick. We need big and brave decisions which will lead to a radical overhaul of the way the NHS is managed at both national and local levels. I suspect that many of you will be more than a tad sceptical about achievability as you read through my suggestions but please keep going to the end – there is a plan. There should be a large scale, open and very public debate, led by the government, to determine what sort of NHS the public wants and how much they are prepared to pay for it. This should consider how demand can be managed and to what level it should be funded. The internal market should be abolished. Financial competition between non -profit making organisation is inefficient, divisive and illogical. It has not led to improvement in quality or safety and administering it is wasteful. Social and health care should be integrated with a single budget. Much of our current inefficiencies are generated by standoffs between social and health care with patients trapped in the middle. Each region should have a Director of Health and Social Care , appointed by the government and sufficiently empowered to ensure effective cooperation between the various health and social care providers. Healthcare should be exempted from the Transatlantic Trade and Investment Partnership and the Health and Social Care act should be repealed. These both increase the threat of commercialisation which will erode the core principles of the service. Central regulation of the service should be radically reduced and reformed. It is expensive and demoralising yet it does not seem to lead to improvement. There should be less focus on targets and inspection and more on patient and staff satisfaction. All healthcare organisations should measure and publish satisfaction figures in real time. Money freed up by reduction management wasted on internal markets and inspections should be reinvested initially in front line services. Better function of these services will lead to further efficiencies throughout the health economy. There should be a stronger focus on research and innovation at a local level but with mechanisms established to endure that learning is disseminated quickly and effectively at a national level. New standards need to be developed to ensure that complaints are heard, acted upon and resolved. Success should be measured in terms of complainant satisfaction and not just timeliness. There should be a national media campaign to improve the reputation of the NHS. Good news should be shared and the benefits of the NHS promoted. It is difficult to do without it looking like cynical spin but it is really important. Patient experience of treatment is strongly influenced by expectations. Positive messages are not just good for staff morale, they actually improve outcomes. You will notice that I have not suggested massive injections of cash, at least in the first instance. There are big savings to be made from these reforms and pouring in money the NHS as it is currently structured will be wasteful and possibly counterproductive. There will be of course be a need for some targeted investment but most should be met through reallocation of resources. You will also notice that I have also not mentioned public health promotion. Not because I don’t believe it is important in principle. Just that it has a track record of not working and cannot be relied on to deliver benefit at present. Its time will come. OK, fine but these changes will never happen! Well possibly not, but it is clear to me that the NHS cannot continue in its current form. Even if you don’t agree with my suggested actions there is no doubt that unless there is some sort of intervention on a massive scale the NHS will be degraded and gradually replaced by commercial providers. We have to try! Consider the logic of this sequence of statements and see if you agree. Only the government in power can make the changes necessary to safeguard the NHS. We don’t know who will be in power after the next election so pinning your hopes on one party is risky. Politicians are driven by a mixture of idealism and self-interest. It is not likely we can change their beliefs; self-interest is the Achilles heel. So we must make sure that ALL politicians believe that that the success of their career is inextricably linked to the success of the NHS. If you agree there is only one conclusion. We have to make A LOT of noise, take this discussion out of social media and get it into the public domain. We need marches, petitions, events and demonstrations. We need the media to take up the challenge and support the NHS instead of knocking it. We need celebrity endorsement. All the pro NHS pressure groups must work together and pull in the same direction. This is a political campaign but should not be constrained by party politics. It is not just about the election. The campaign will continue long after that dust settles. This is a call to arms. We can all do something. Together we can make a real difference.